The proceedings of Acivs 2016 (LNCS volume 10016) are available at the Springer on-line.website. Acivs 2016 is a conference focusing on techniques for building adaptive, intelligent, safe and secure imaging systems. Acivs 2016 consists of four days of lecture sessions, both regular (25 minutes) and invited presentations, and poster sessions. The proceedings of Acivs 2016 are published by Springer in the Lecture Notes in Computer Science series and are listed in the ISI proceedings index. Acivs 2016 features a conference dinner, and other social activities. Thanks to sponsorship by LNCS, Acivs 2016 will feature a best paper award. All authors of accepted papers qualify for this award. 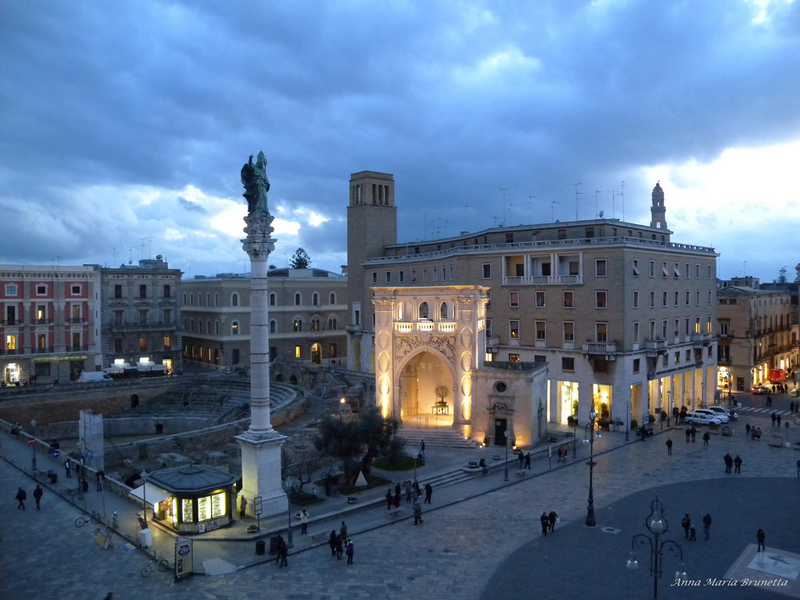 The conference will take place in the Patria Palace Hotel, Lecce, Italy on Oct. 24-27, 2016. The proceedings of Acivs 2016 will be published by Springer in the Lecture Notes in Computer Science series. LNCS is published, in parallel to the printed books, in full-text electronic form via Springer's internet platform (http://www.springerlink.com). In case one presenter presents multiple papers at the conference, one registration fee suffices. However an additional fee of 200 € (before September. 10, 2016) or 220 € (after September. 10, 2016) will be charged for each additional paper. Additional tickets for the social program can be purchased for the amount of 120 € (before September. 10, 2016) or 150 € (after September. 10, 2016). Cosimo Distante, CNR - University of Salento, Lecce, Italy. Pier Luigi Carcagni, Consiglio Nazionale delle Ricerche, Lecce, Italy. Marco Del Coco, CNR, Italy. Marco Leo, Consiglio Nazionale delle Ricerche, Lecce, Italy. Pier Luigi Mazzeo, Consiglio Nazionale delle Ricerche, Lecce, Italy. Paolo Spagnolo, Consiglio Nazionale delle Ricerche, Lecce, Italy. Jenny Benois-Pineau, Bordeaux 1, Bordeaux, France. Bir Bhanu, University of California, Riverside, USA. Alfred M. Bruckstein, Technion IIT, Haifa, Israel. Dumitru Dan Burdescu, University of Craiova, Craiova, Romania. Tiago Carvalho, Instituto Federal de São Paulo - Campinas, Campinas - SP, Brazil. Emre Celebi, Louisiana State University, Shreveport, USA. Jean-Luc Dugelay, EURECOM, Sophia Antipolis, France. Toshiaki Fujii, Nagoya University, Nagoya, Japan. Michael Hild, Osaka Electro-Communication University, Osaka, Japan. Heikki Huttunen, Tampere University of Technology, Tampere, Finland. Takashi Matsuyama, Graduate School of Informatics, Kyoto, Japan. Dan Raviv, Massachusetts Institute of Technology, Cambridge, USA. Zhan Song, Shenzhen Institutes of Advanced Technology, Shenzhen, RPC. Sotirios Tsaftaris, University of Edinburgh, Edinburgh, UK. Domenico Vitulano, IAC CNR, Roma, Italy. Toshihiko Yamasaki, The University of Tokyo, Tokyo, Japan. Titus Zaharia, TELECOM SudParis, Evry, France. This page was generated on Wednesday April 24th, 2019 05:52:12.